Are you an HP user getting the error ‘No boot disk detected‘ when you boot up your PC? There is no reason to worry; we’ve got the right solutions for you. Some Windows user reported that when they boot up their HP computer, they see the error message “No boot disk detected or the disk has failed”. This error occurs because during the process of booting up a computer, the system checks the HDD for boot information and other Operating System information so as to utilize the information to boot up the system. However, if the HP computer is unable to retrieve any not boot information or Operating System details on the HDD, the error message is displayed on the screen. Meanwhile, we are going to show you efficient solutions which are applicable in solving hp error no boot disk detected problem. The steps to follow are listed below. One of the reason for the ‘no boot disk detected or the disk has failed’ error message is because the HDD/ boot disk is not at the top of the boot order. The system retrieves boot information and OS details by following a boot order; the boot order consists of the sequence of sources which the computer searches in order retrieve valid information. Press the F1 key or any specified key to enter the BIOS (other keys such as F1, F12 or Delete may be used depending on your HP system). Locate your computer’s boot order under BIOS Boot. Select the HDD/SSD i.e. the boot disk and move it upward using the arrow key. Save the changes by following the screen prompts and exit the BIOS. After you exit the BIOS, your PC will restart which will be devoid of the error problem. 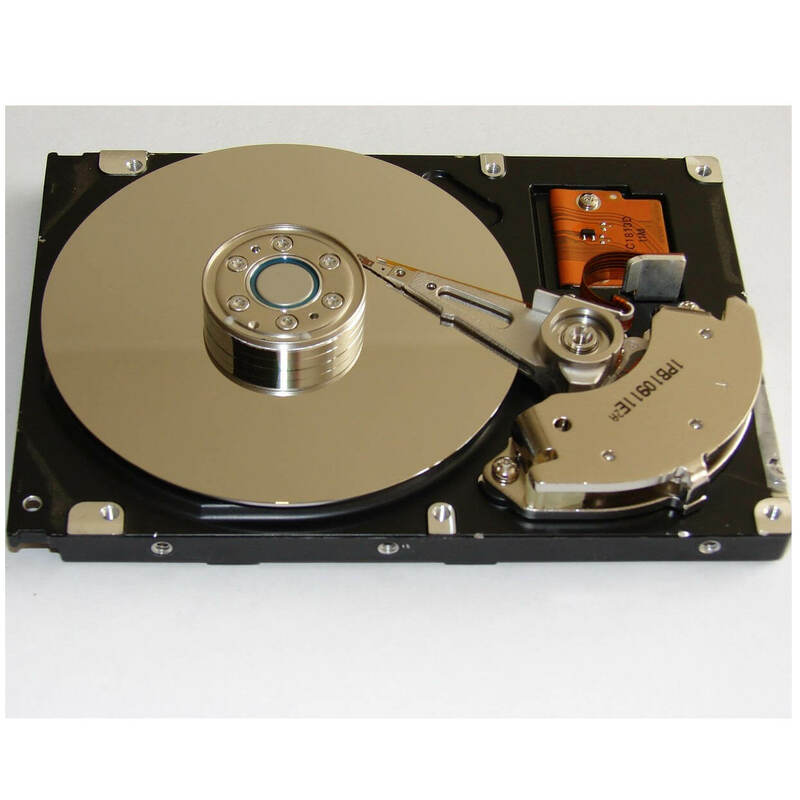 However, if the HDD i.e. 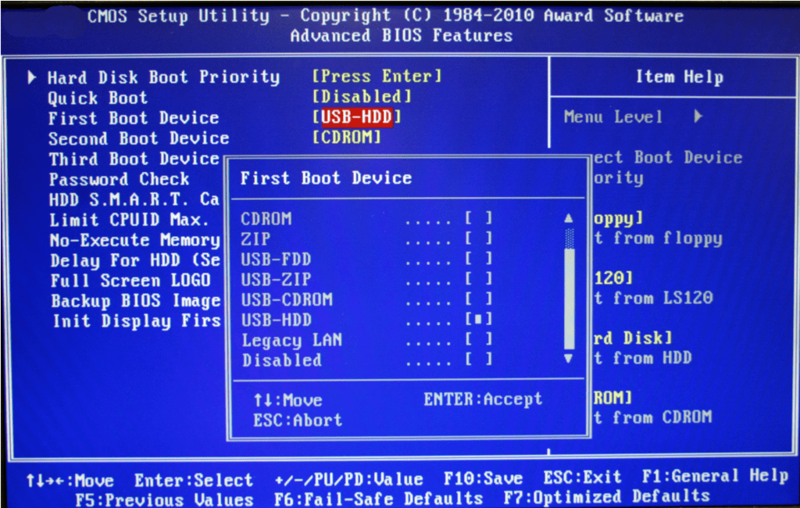 the boot disk is at the top of the boot order in the BIOS, you can proceed to the next method. Another reason for the computer’s inability to boot up is because the HDD is in a failed state which triggers the error ‘No boot disk detected or the disk has failed’. You can detach the HDD from your PC; connect it to another PC to access the files and folders on the PC so as to check if the HDD is accessible. However, if you are unable to access the contents of the HDD, you definitely need a replacement. 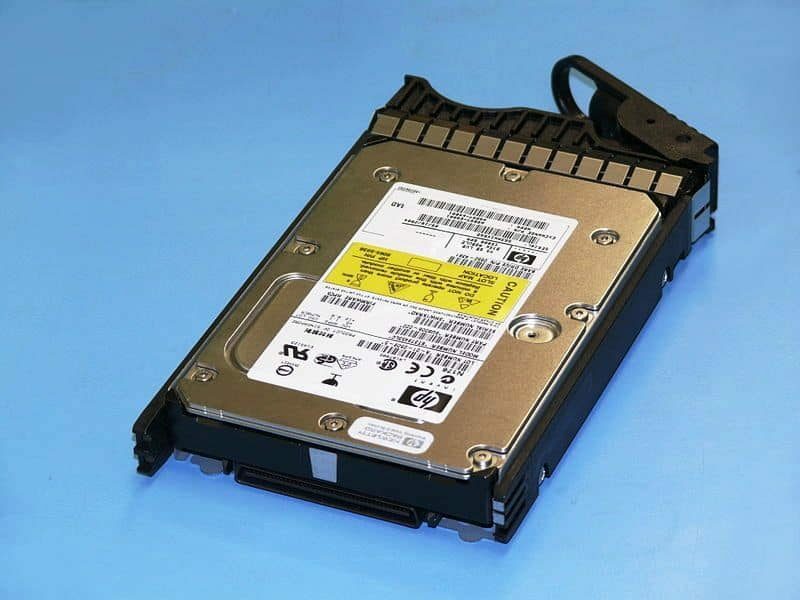 You can return the HDD back to your manufacturer-HP if the PC still has warranty or purchase a new HDD from your HP eCommerce website, Amazon or from your local computer shop. However, we highly recommended that you can carry out the replacement by a professional – computer engineer. Meanwhile, when you replace the HDD with a new one, ensure you install a new Windows OS on it. Another way of fixing this error problem is to perform a clean install of Windows OS on your PC. However, this method will clear all pre-installed apps, files, and folders but it will solve the boot error problem regardless of this. The Operating System or boot information on your HDD may have been wiped out intentionally or due to virus attacks on your PC. Meanwhile, you can visit the official Microsoft installation media for a guide on how to clean install Windows 7/8/10 versions. 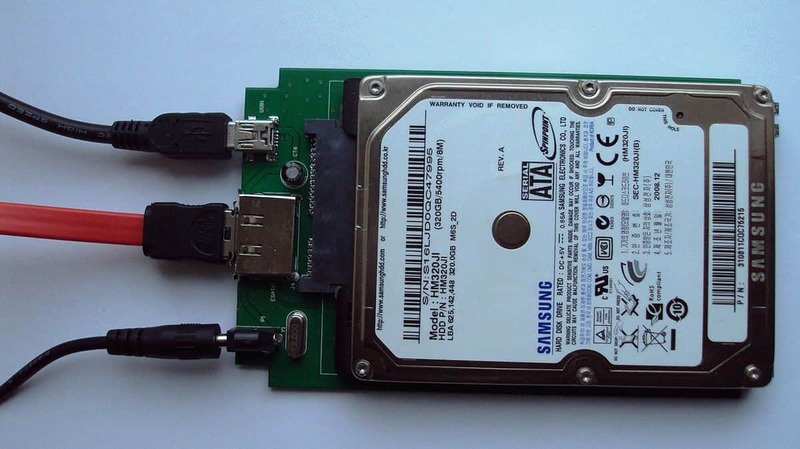 Sometimes, the laptop may have wobble resulting in loosened state of the PC-to-HDD connections. The wires connecting the HDD to the system and vice versa might have been unfastened which causes the ‘no boot disk detected or the disk has failed’ error message. Power off your computer and remove the battery. Open up your computer’s casing afterwards. Hence, attach the battery and power up your computer. However, if you do not have the tools and required practical knowledge involved in using this method; it is advisable that you consult a computer technician or computer engineer to help you out. Insert Windows 10 bootable installation DVD and restart your PC afterwards. In the “choose an option” screen, Click Troubleshoot > Click Advanced option > Automatic Repair or Startup Repair. Then, wait for the Windows Automatic/Startup Repairs to be complete. Alternatively, if ‘Method 5’ did not solve HP error ‘no boot disk detected or the disk has failed’, you can run CHKDSK on your PC to fix the problem. Boot from Windows bootable installation DVD. When prompted, press any key to boot from CD or DVD. Now, click on “Repair your computer”. Hence, click on “Troubleshoot” > “Advanced options” > “Command Prompt”. 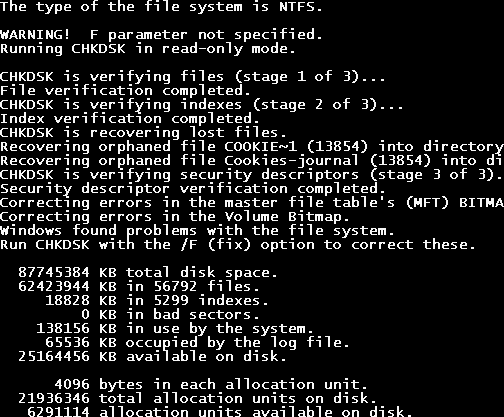 Hence, type “CHKDSK C: /F” without quotes in the Command Prompt. Then type CHKDSK C: /R without quotes in the Command Prompt and hit “Enter” key. After CHKDSK process, restart your PC. In conclusion, any of the methods listed above should be able to help you fix HP error no boot disk detected or the disk has failed’, the choice is yours to make. However, if you can afford to purchase a new HDD, you can try ‘Method 2’ or ‘Method 3’ to perform Windows clean install. If you have any problems trying out any of the fixes we mentioned, please let us know by commenting below. Also, if you have other ideas or suggestions on how to fix this problem, feel free to list the steps to follow in the comments below.